A bride-to-be gets a visit from her other fiancé — the dead one. This week in movies TV you missed: Dead people won't stay dead. No, they're not zombies. And no, this is not ABC's new hit show "Resurrection," but its artier and spookier European predecessor. Four years ago, a small French mountain town lost 39 children to a freak bus accident. Now, as the power grid flickers ominously in the twilight, one of those kids comes back. Fifteen-year-old Camille (Yara Pilartz) doesn't remember anything after the accident. Not aged a day, she expects to pick up her life where she left off. Instead, she returns to a home driven asunder by grief, to parents who have split and an angry sister (Jenna Thiam) who spends all her nights at the local pub. Camille and her family aren't the only ones getting a rude surprise on this idyllic summer evening. 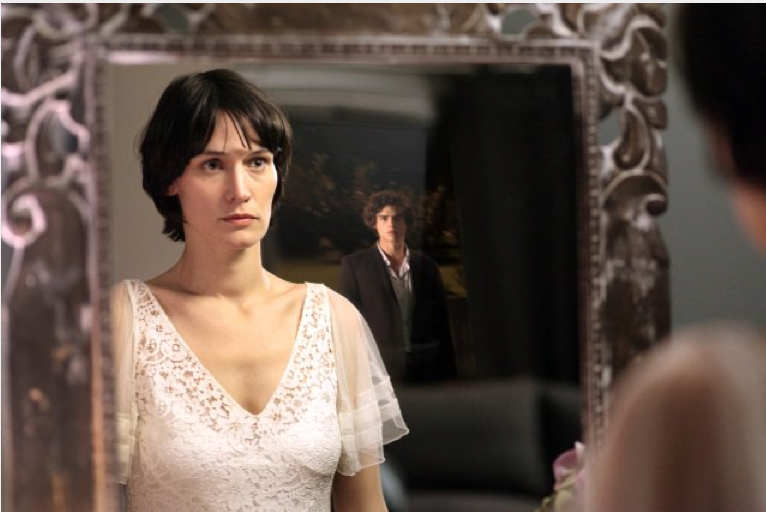 Librarian Adèle (Clotilde Hesme) is about to marry her live-in boyfriend when a dead lover (Pierre Perrier) knocks at her door. An elderly man receives a similar visit from his wife, who died more than 30 years ago. And a serial killer who hasn't struck in years is suddenly active again. Why is it happening? How can it happen? No one knows, and, for the most part, no one cares. They just want to keep their loved ones from disappearing again. Want to be confused? The American show "Resurrection" is based on Jason Mott's novel The Returned, which has the same premise as "Les Revenants" but a completely different plot. A&E is planning an official U.S. remake of "Les Revenants." But you should really just watch the original version. 1. It gets under your skin. "The Returned" is not a "horror" story in any familiar sense. As Todd VanderWerff of the A.V. Club puts it, on this show, "the monster is an emotion." Mourning, grief and fear are the sources of conflict and tension. When Adèle's lover returns, she bars the door against him — not because he's trying to eat her alive, but because she has finally moved on from their relationship and he shouldn't be here. These dead aren't demonic or hungry. Frozen at the moment when they died, they are walking time capsules who confront the living with all the things they've tried to forget. The result is seldom overtly scary, yet it's one of the most intensely creepy dramas I've ever seen. "The Walking Dead" disturbs you on a visceral level; "The Returned" disturbs you on a deeper, emotional one. Meanwhile, someone does have a taste for human flesh — but it's not a zombie. 2. It is not just another freakin' detective story. This is one of many differences between "The Returned" and "Resurrection." The protagonist of the ABC show's pilot is an ICE agent (Omar Epps) trying to solve the enigma of a long-dead Missouri boy he discovered alive and unaged in China. Vital signs are checked, graves are dug up, and authority figures have solemn conversations about What This All Means. The show does have a cop character — Adèle's fiancé (Samir Guesmi) — but he's no more neutral or authoritative than anyone else (arguably less so, in fact, since a dead guy is now his romantic rival). The relatives of the returned all react differently to their advent: some with joy, some with terror, some seeing God's hand in the resurrection and others simply taking it at face value. But most of them realize that their best course is to lie low and not advertise the presence of their deceased loved ones. Even the lonely nurse (Céline Sallette) who adopts a mysterious young returned boy (Swann Nambotin) quickly becomes too attached to him to turn him over to the authorities. 3. The acting is stellar. Especially notable is Anne Consigny (The Diving Bell and the Butterfly) as Camille's mother, Claire, whose terror of losing her daughter keeps her on the edge of hysteria. The kid actors on this show are great, too. 4. The atmosphere … just is. With its dramatic Alpine setting, "The Returned" reminded me of both "Twin Peaks" and Jane Campion's mystery drama "Top of the Lake," which also aired on the Sundance Channel. (Here's an article about the shooting locations.) It's one of those shows where the town itself is a character: The return of the dead coincides with mysterious fluctuations of the water level at the hydroelectric dam poised above the fragile settlement. And don't get me started on the credit sequence, a beautiful collage of non sequiturs and memento mori tableaux, or on the eerie soundtrack by Scottish band Mogwai. For me, it comes down to the characters. As long as they and their reactions seem true — as long as the show succeeds as a metaphorical exploration of grief and the struggle or refusal to move on — I don't mind ambiguity or magical realism. "The Returned," unlike its American counterpart, offers significant helpings of both. It's far more oblique and lyrical than we expect a TV show to be, yet it's grounded in painful realities that all of us, sooner or later, will experience. That's what makes it powerful. The Muppets are Most Wanted! A girl in a dystopian society is Divergent, and also in love with a hunky dude. "Veronica Mars" fans, rejoice! The Kickstarter-funded movie finds its way to Vermont, reminding me I have to watch "Veronica Mars" one of these days. Showtimes are here. At the Savoy, check out the Green Mountain Film Festival. American Hustle, Frozen, Kill Your Darlings, Mandela: Long Walk to Freedom, Saving Mr. Banks.